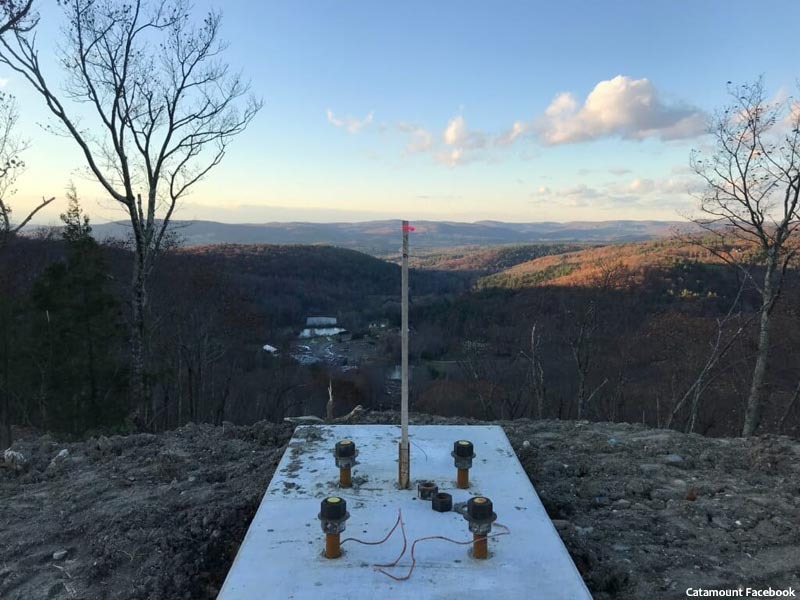 Though Bicknell's Thrush restrictions and early snow have created challenges for new chairlift and gondola projects, construction is still progressing this fall. 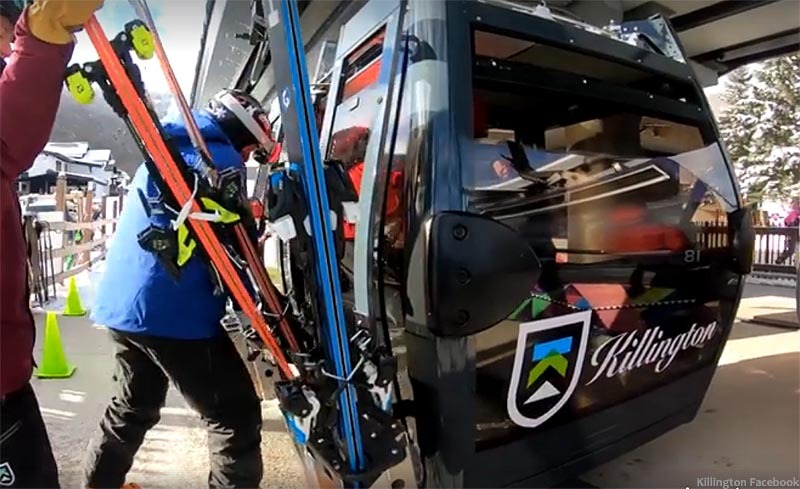 New cabins are being cycled onto the K1 gondola at Killington, as the World Cup approaches. Meanwhile, though it won't be ready for Thanksgiving, the Poma Snowdon six person bubble chairlift is expected to open by the end of November. Terminals and towers are in place for the refurbished South Ridge Quad, however an estimated completion date has not been announced. 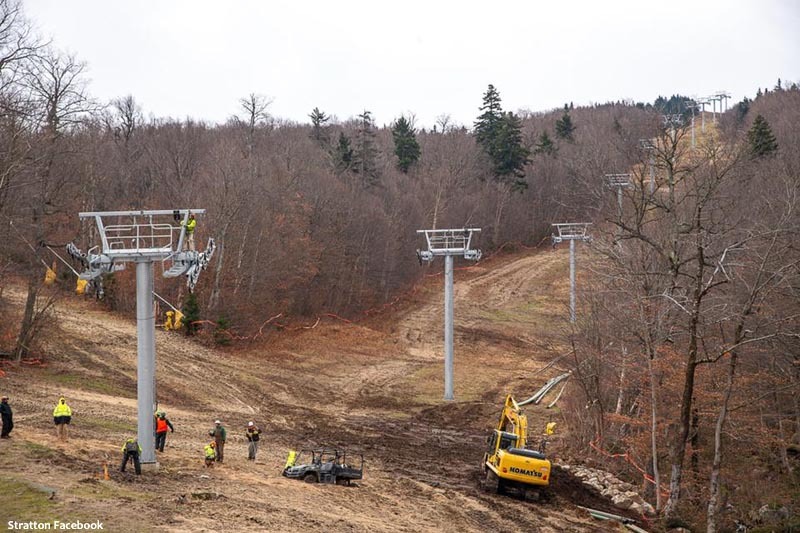 Towers were flown in for the Snow Bowl Quad at Stratton prior to the snow, while terminals are now being installed. The new Doppelmayr high speed quad is not expected to be completed in time for Stratton's opening day this week. Footings have been poured and components may soon be installed for the Promenade Triple at Catamount. 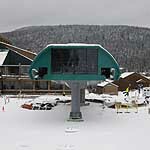 The used Poma lift from Berkshire East will serve lower level terrain. 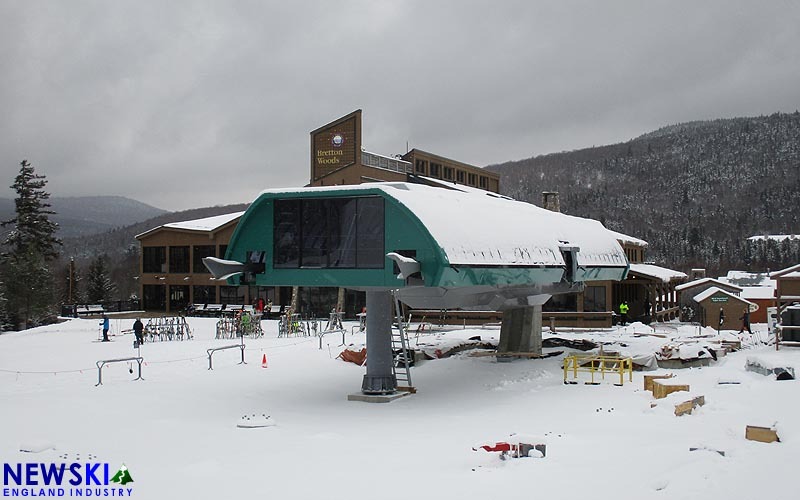 Snow is piling up at Bretton Woods, as construction continues on the Presidential Bahn gondola. The base terminal has taken shape, while a crane was working at the top of the lift over the weekend. Towers have yet to be installed. 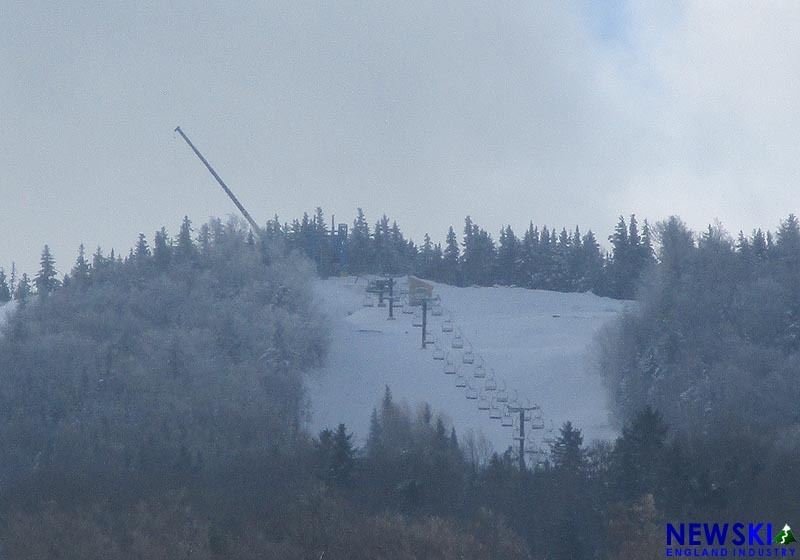 Fabyan's Triple, truncated over the summer to make way for the new lift, has been put back together.